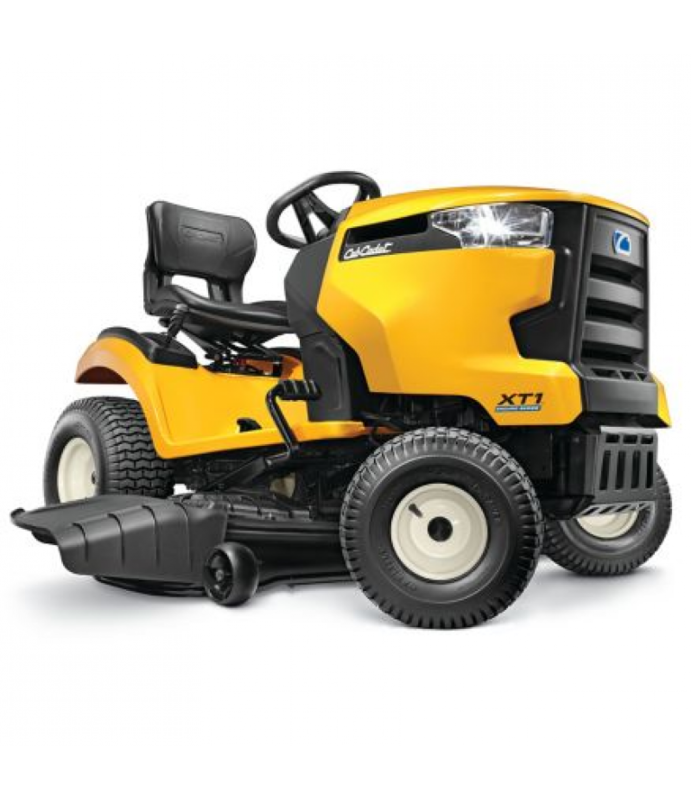 The Cub Cadet XT1 Enduro Series 50 in. 24 HP V-Twin Hydrostatic Riding Mower features category-leading strength, comfort and versatility. It's loaded with a 24HP Kohler V-Twin OHV engine for powerful performance and a hydrostatic .. The Cub Cadet XT1 Enduro Series 50 in. 24 HP V-Twin Hydrostatic Riding Mower features category-leading strength, comfort and versatility. It's loaded with a 24HP Kohler V-Twin OHV engine for powerful performance and a hydrostatic transmission drive for smooth and simple operation that eliminates the need for shifting - just push the pedal and go. The Signature Cut 50 in. triple-blade deck offers a 16 in. turning radius and electric PTO to engage the blades with just a push of a button. An adjustable open-back seat and soft comfort-grip steering wheel provide the ultimate in handling and comfort.